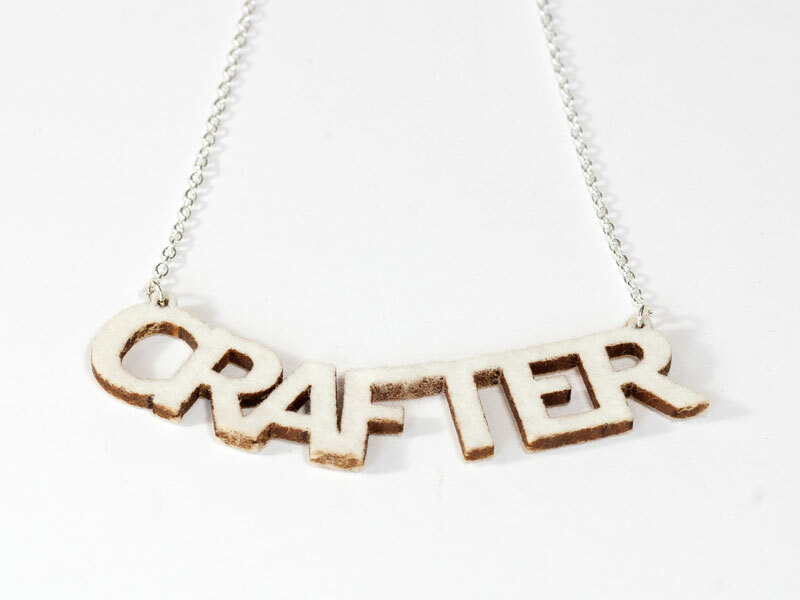 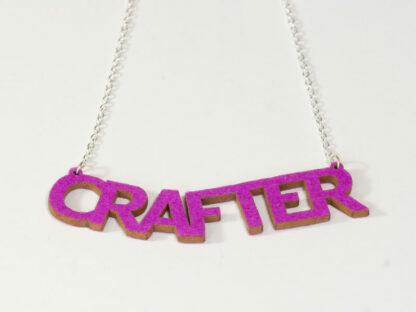 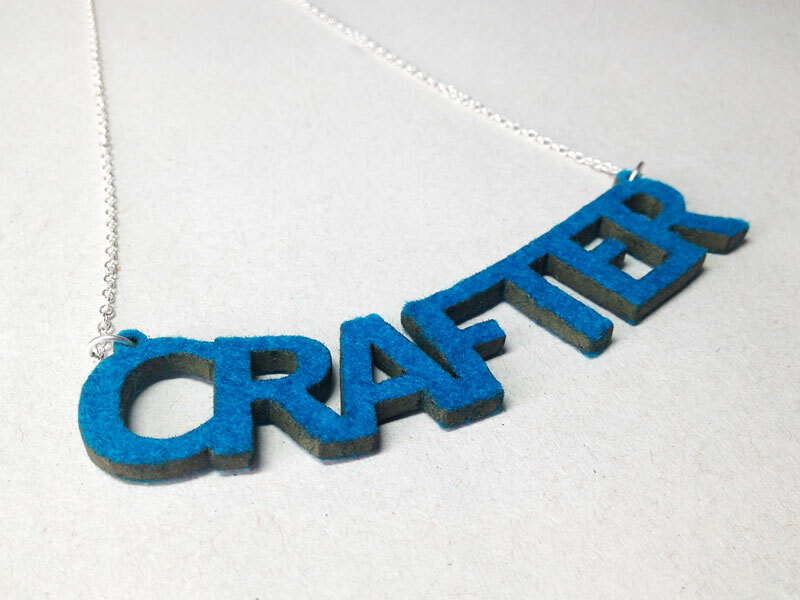 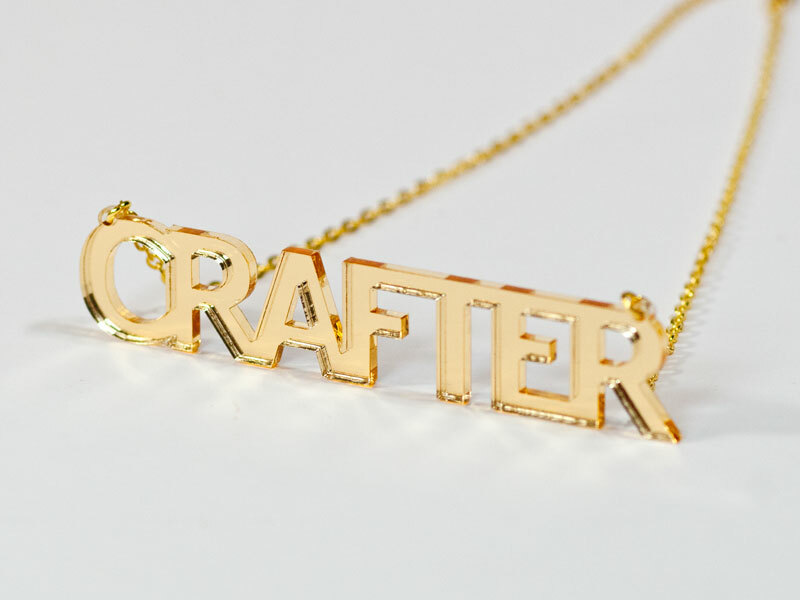 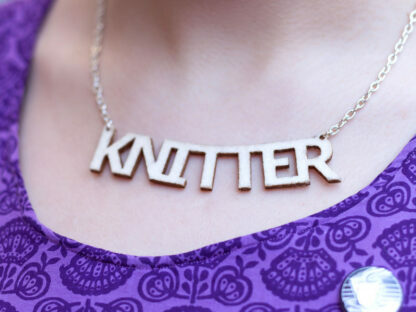 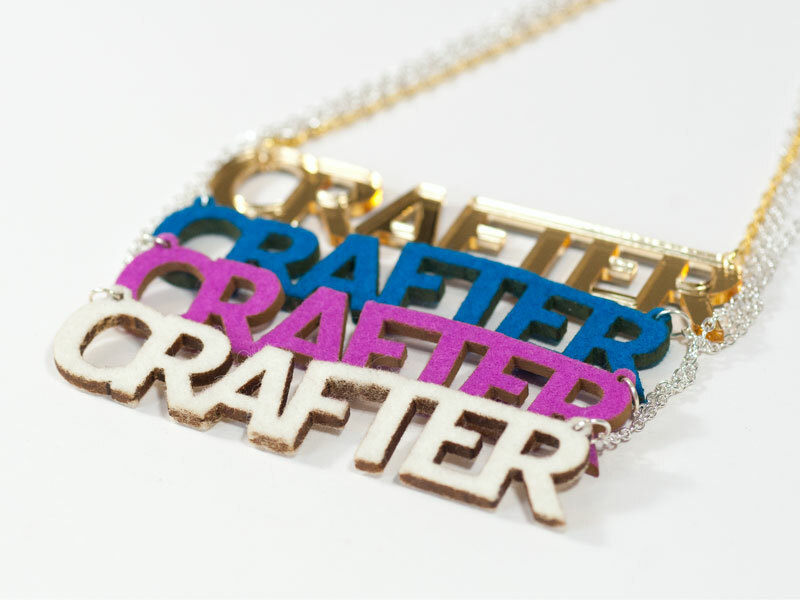 Shout out your crafting love with these new necklaces! 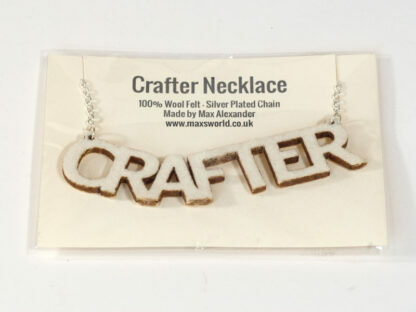 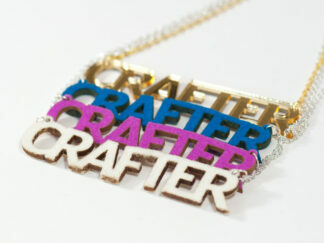 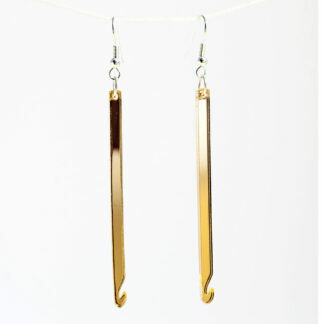 Laser cut from 100% wool felt or gold mirror acrylic, you're sure to stand out with one of these around your neck. 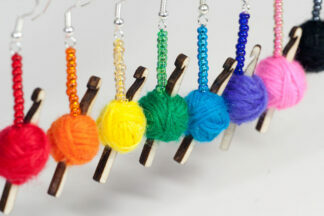 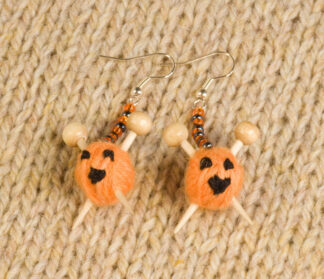 The felt necklaces are on a silver plated chain and the gold acrylic necklaces have a chunkier gold plated chain.